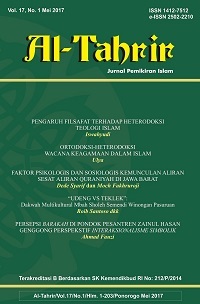 Al-Tahrir is published by IAIN Ponorogo twice a year in Mei and November as a medium for dialogue on the development of Islamic thought and have Accredited Higher Education Decree Number: 64a / DIKTI / Kep / 2010. Then it was accredited again based on the Minister of Education and Culture No. 212 / P / 2014. Jurnal Cendekia diterbitkan oleh Fakultas Tarbiyah dan Ilmu Keguruan IAIN Ponorogo setahun dua kali. Jurnal Cendekia mempunya dua versi, yaitu cetak dan online yang semuanya sudah terdaftar ISSN. ISSN : 1693-1505(cetak) dan 2477-796X (Online). 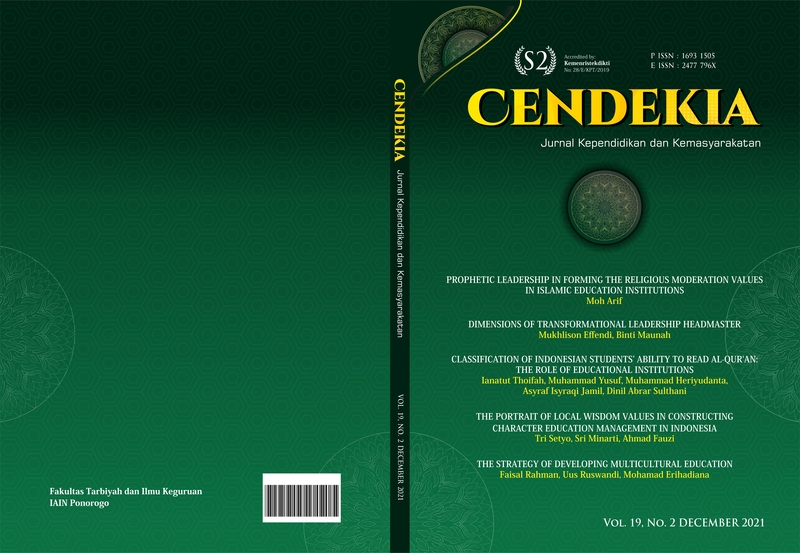 Jurnal Cendekia terbit bulan Juni dan Desember berisi kajian tentang Kependidikan (Islam/Umum) dan Kemasyarakatan. 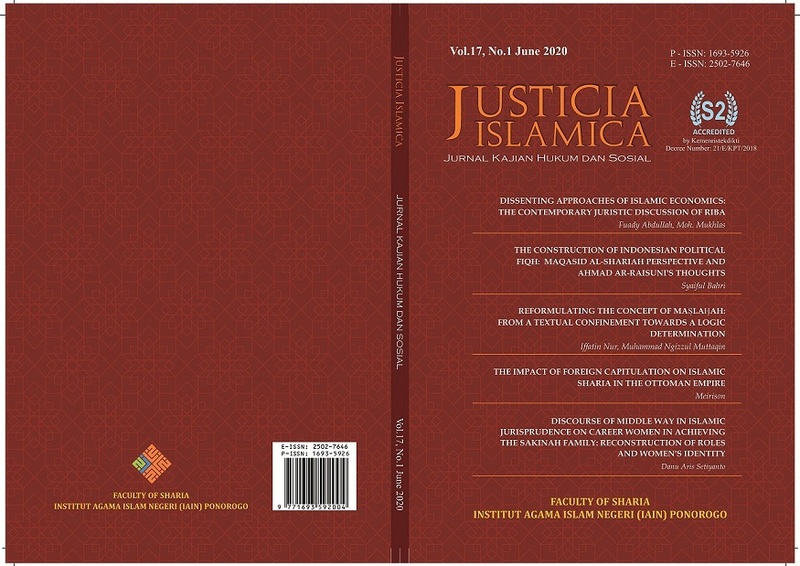 Justicia Islamica Published by Faculty Of Sharia IAIN Ponorogo. Justicia Islamica has been accredited (Sinta 2) by The Ministry of Research Tecnology and Higher Education of the Republic of Indonesia (SK Dirjen Penguatan Riset dan Pengembangan Kementerian Riset, Teknologi, dan Pendidikan Tinggi No. 21/E/KPT/2018). Editor accepts writings of the results of conceptual thingking and research in the fields of law, Islamic law, Islamic economic law, and Social Problems that have never been published. 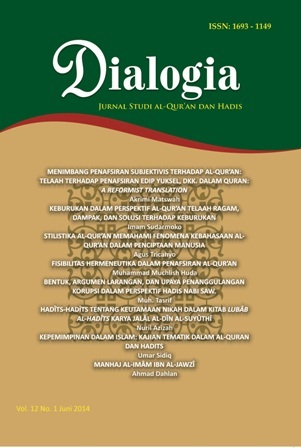 Muslim Heritage is a journal which concern on Islam and realities, published by the Postgraduate of State Islamic Institute (IAIN) Ponorogo, East Java in cooperation with the Association of Graduate Lecturer. Muslim Heritage was first published in May 2016. 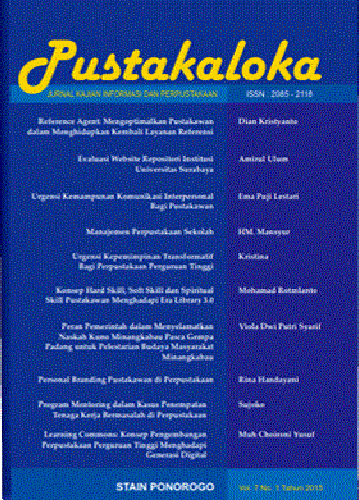 It is semi annual journal published in May and November. Editors accept scientific articles and result of research in accordance with its nature such as: Islam and contemporary issues, anthropology, education, economics, sociology with particular emphasis on multidisciplinary approaches. Muslim Heritage has been indexed by DOAJ, Morarref, IPI, IOS, Google Scholar, DRJI, Crossref, etc. Muslim Heritage has become a CrossRef Member since the year 2016. Therefore, all articles published by Muslim Heritage will have unique DOI number.